There were many delights this holiday season: spending time with family, delicious food, a roaring fire. My family has lots of traditions, including a gingerbread house decorating extravaganza, a viewing of the Grinch, and ice skating, but another holiday highlight was lazy hours spent playing games. Whether you are twelve or in your seventies (sorry, Mum) there's always someone game for a game in the Thoft household. Our old standby is Scattergories. We usually play this in teams, which provides the opportunity for aunts and uncles and cousins to break off in twosomes and put forth their best efforts, which produce giggling fits and heated discussions. My husband still argues that there is a vending machine somewhere in the world that dispenses empanadas (category: name a food starting with "e" that you find in a vending machine.) Is there? Do tell, Reds! Have you played Balderdash? It's a game of creative definitions and bluffing, and hilarity always ensues. 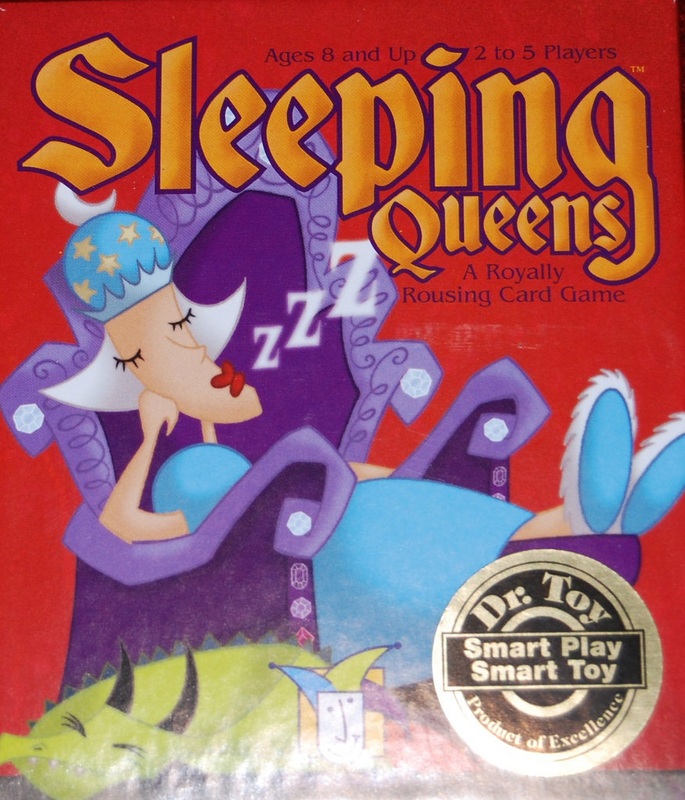 When the younger set was itching for a game, we pulled out Sleeping Queens or Exploding Kittens, card games that never disappoint. Don't worry, no cats are harmed in the course of Exploding Kittens. Poker was another option, peppermint candies standing in for money. My eighteen-year-old nephew, who has a standing Saturday morning poker game at Panera (kids today! ), was kind enough to teach the basics to the rookies in the family. There's nothing like playing stud poker with someone whose diapers you changed! And if our interest in more traditional games started to wane, at 3:00 p.m. and 9:00 p.m., everyday, most of the family would assemble to play a trivia app on their phones call HQ Trivia. A series of twelve questions, the game taxed our collective brain power, and we didn't win even once. I never would have known about this game were it not for the millennials in the family, but I'm in good company on that front. One night, journalist and broadcaster Dan Rather was among the winners, having been introduced to the game by his grandson. Reds and readers, do you like playing games? Tell us about your favorites! MaryC, you won yesterday's giveaway! Shoot me your address at ingrid@ingridthoft.com. And I'm just throwing this in because I can't get over it. Check out my niece's gingerbread house! What a cute gingerbread house --- I love the “Starry Night” motif . . . .
Mostly the games we play around here are the ones the grandchildren want to play. CLUE is a big favorite; we also like MONOPOLY and LIFE [the STAR WARS version is a particular favorite of the Virginia contingent] . . . Personally, after CLUE, my favorite is PARCHEESI. I haven't played CLUE in ages, but I loved it as a kid. In our version, the pieces were the murder weapons! CLUE is one of my favorite board games, but my kids and Ross would never play it with me! We need to get up a game at the next mystery convention. Julia, CLUE is The Girl's favorite game, ever (and we both love the movie). Ingrid, after we literally wore out our CLUE game, we bought a fiftieth anniversary edition of the game. It came boxed in a metal tin . . . the six playing-pieces-people are miniature-sized figurine versions of each of the characters; the instruments of murder are, of course, miniaturized weapons . . . .
My whole family loves playing games. I had never heard of Sleeping Queens, but I guess my niece and nephew love that. I just got done playing Five Crowns with my parents, brother, and sister-in-law. We laughed the entire way through. I'm not familiar with Five Crowns, Mark. I'm assuming it's a card game? It is, and they have five different suits. There's a different wild card each round, and you play until the kings go wild. We played this with friends' on NY Eve. I was slaughtered due to a couple bad hands. I played Five Crowns this year for the first time - it was fun, but you gotta pay attention! Wow to your niece's gingerbread house! That's outstanding. My border collies are deeply into mind games, which they play with each other, but beyond that there's not a lot of group adult activity around here. I was, however, talking about this just today with a colleague who had her family and friends in for Christmas. She had discovered some new kind of dice game that involved shuffling money left, right, or in the pot, which her family loved. It reminded me of times we spent playing some kind of card game with poker chips and an elaborate game board, the rules of which I can no longer remember. Lots of fun for everyone, whatever it was. Also, my grandmother had a very elaborate, handmade Chinese Checkers board, which we all used to gather around at Christmas. When Grandma died, I got the checkerboard, but none of us remembered to snag the tin of marbles, so I'll have some work to do to get that back up and functional again. These days it's sudoku and solitaire for me. I like suduko, too, Gigi. I find it gives my brain a nice break during which it's working, but not really. We always play games at the holidays. A favorite is Wise and Otherwise, a bluffing game where everyone writes down the second half to a proverb from somewhere in the world and then guess which is the right one. Fictionary is always a favorite too, and all you need is a dictionary. We play Banagrams, Hearts, charades, and of course, Scrabble. My husband's family used to play a lot of Hearts, which is fun, but could get quite competitive! Wise and Otherwise sounds great, but do you have to know lots of proverbs, Edith? I used to play games all the time when I was younger. Board games and then video games. My favorite board game was either Monopoly or Risk. I don't play many games these days though. Risk used to take forever...or maybe we were playing it wrong? NO, RISK does take forever to play. It's the only board game I've ever nodded off to. Risk did take a long time, but since I generally won the game, I liked being ruler of the world so I had no problem with how long it took. Julia, I think it's hilarious that you nodded off during a board game. Was the room dark? Great gingerbread house! No, with a family of three, our family did not play any board games at home. We did a big jigsaw puzzle instead during the Christmas holidays. I played some board games with friends as a kid: Monopoly, Clue, Battleship. And I never played any of the board games listed by the Reds. We also have a puzzle going, Grace, and I have to admit that spent no time on it this year. There were too many other things going on! Ever since our family Christmas at my daughter's in Michigan, in which four generations were snowed in together, we have loved playing Apples to Apples when we have family gatherings. It's kind of like Cards Against Humanity, but without the X-rated aspect. The first time we played my grandson was only eight, so we bent the rules for him, and for my son-in-law's mother, who was blind and in her late 70's. And we were having so much fun that we just kept playing, reshuffling the cards, until it was time to go to bed. Everyone agreed that was an epic Christmas. That year, we also had a blast with the Wii, playing with the dancing competition software. I won, so it was especially fun! I love to play Scrabble, but most of the family prefers more active games. Thanks for the sharing the photo of that bodacious gingerbread house! It's a work of art, using a work of art. Very meta, right? Karen, I've heard of Apples to Apples, but never played it. Sounds like one to explore for next time. We were all amazed by the gingerbread house. My niece kept asking me to mix up different shades of blue frosting; I had no idea what she was up to! I'm looking forward to playing those board games with our grandkids one day. We also used to play marathon games of Risk, which my sister always won. Now it's all about Bananagrams. Lucy, once your granddaughter hits five, she'll be ready for RAT-A-TAT-CAT. This is one of my favorites, and it's great for all ages. Wow, what a gorgeous gingerbread house! Games... I'm not a good games player, though I played several rounds of Candyland with my granddaughter over Christmas. I'm a better kibitzer. But I for grown-up games I love charades or dictionary or Password. If I were better at Scrabble I'd like it, but I hate to lose. Oh yeah, and bridge. We've played once a month for decades, not often enough to improve my game. My family plays a game I have never heard of outside the family -- In the Manner of the Adverb. One person leaves, the group picks an adverb, then when the It person returns, he/she asks for specific actions "in the manner of the adverb." A, sell a pair of shoes to B in the manner of the adverb. C, go get a glass of water and drink it in the manner of the adverb. Scoring methods vary extremely, depending on ages in the group. (Relatedly, degree of difficulty can be scaled depending on ages in the group. Some adverbs are insidious, among them "inconsistently" and "normally.") Endless options, including teams, a la Taboo (if you know that word game, with cards that give a word plus five forbidden words than cannot be used). That sounds fun, and hard, Katharine! Do you know the origins of the game in your family? My family loves to play games when we're gathered together, usually guessing games or trivia. One of our favorites is Hedbanz. The games often start with a small group, reasonably organized and following the rules, and within minutes become free-for-alls as everyone else has to get in on the action. The bigger the group, the more chaos and fun. That sounds like our Scattergories games, Christine. Controlled chaos and then just chaos! That is a truly amazing gingerbread house! Our daughter and her husband's family have instituted a tradition of decorating gingerbread houses at Christmas. Now that there are kids in that family, it's that much more fun. This year, the little one (2-years-old) was decorating with his YaYa (maternal grandmother) and somehow he broke the whole thing apart. He was very sad, but my daughter had already taken a picture of it. He and YaYa got a special prize by default. Ha! We've done games for years - board games back in the day and now the younger ones come up with the most interesting things to play. It's great! Sadly, we missed it all this year as my husband was just home after having surgery. Next year for sure. I hope your husband is on the mend, Kay! We've been doing gingerbread houses for years, and one thing we've learned is to let the sister who's an architect assemble them (with help, of course.) A lot of houses toppled before we figured that out! Ingrid, that is one talented niece! What an original idea! We were often given a box of multiple games at Christmas when we were kids--checkers, Chinese checkers, chess, etc., would be included. And my dad was a checkers champ, so I guess games are in our blood. We played a lot of Chutes and Ladders when the boys were little, then Monopoly. Favorites are Parcheesi (I want the elephants!) and Boggle. I remember Parcheesi, Flora, but I seem to remember preferring SORRY. And Chutes and Ladders. Either great fun or never-ending torture! Ingrid, we played a lot of different games--whenever one of the boys was home sick, I'd go to the drugstore and get the usual (ginger ale, sprite, etc., chicken soup and crackers, etc. ), but I would also peruse the games aisle, trying to find a new game to distract them--and it also made them feel special. Fabulous gingerbread house, possibly the one that inspired Van Gogh? Or did he come before. These things get rearranged in my mind. Funny you should mention board games. We have a closet shelf full of them, and I am about ready to clean it out, send them all off to Goodwill or whatever. I can't remember the last time we played one. The only board game I ever liked was Trivial Pursuit, and we've been thru that one so much that we know all the answers by now. I, like Grace, came from a family of three, so I rarely played board or card games growing up. I did play with my children, particularly Risk and Monopoly, and Scrabble, of course. Cards are another issue altogether. I adore bridge and am more than passable at it. Same with poker, blackjack, gin rummy. However I don't know anyone who plays bridge. I used to play online, with real people. I don't even do that anymore. I do play Scrabble and Words With Friends, a Scrabble knockoff. Usually I win except against my favorite partner, Kate Charles, who trounces me several times a week. Moral: Don't play with writers. They know too many words. I think Vincent was definitely inspired by my niece, Ann ;). I loved Trivial Pursuit growing up! Loved it! I do remember playing the game post 1991 and realizing that our edition was woefully out of date: lots of questions about the Soviet Union! I'm curious, how did you learn all the card games, Ann? Ann, you can get new card sets for Trivial Pursuit, with lots of different themes. We have a set for kids, and a set for Christmas. The pizza place down the street, where we have had Friday nights out for decades, keeps a set of Trivial Pursuit cards on each table, along with crayons to use on the butcher paper they use to cover the tables. We have spent many fun times just asking and answering the questions while waiting for our food to arrive. No board necessary. Most I learned playing with my grandad as a kid. Bridge I learned in college. Doesn’t everyone? Along with beer and cigarettes and coffee and contraception. Bridge! All nighters in college with beer and cigarettes. Ha, Ann, so that's what my dear Kate is doing when she should be writing, lol! I have up playing Words with Friends with her, and with Marcia Talley, because it's no fun when you NEVER win!!!! You too Deb? I thought it was just me. I’m about to beat her tho. Maybe. Finallly. Years ago my siblings and I enjoyed epic games of Trivial Pursuit whenever we got together. I'm not really into games where I have to pay attention. My adult ADD kicking in! I do play various games of solitaire on my laptop. I could enjoy a round of Scrabble if anyone was so inclined. I have broken out the dominoes to play with my granddaughter, but not recently. Oh yes. Jenga. That is fun! We are a game playing family, and I'm loving the new suggestions I'm getting here. 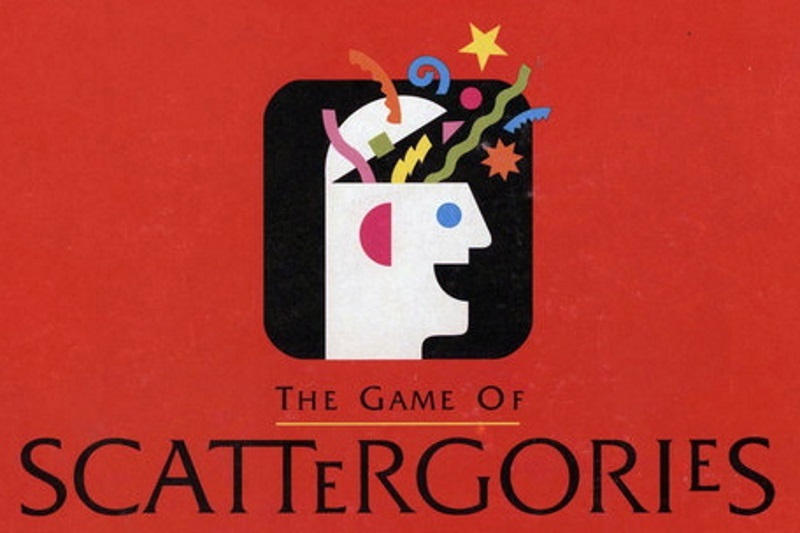 There are rumors going around that Scattegories caused my divorce. Not true, but my ex does like to push all his answers to the limit. My brother and daughter have also gone a few rounds over that game. I've always loved Clue, but never can get anyone to play it with me. If I do, I'll have to try your version, Ingrid. I love words but have never been fond of Scrabble, and my sil has memorized all these weird 2 and 3 letter words that no one's ever heard of, from the Scrabble dictionary. Annoying! I'm glad to hear that I'm not the only one who isn't a Scrabble fan. People always assume that, because I'm a writer, I'll love it. Maybe playing it feel's like a bus man's holiday! I can imagine Scattergories leading to divorce. We're still talking about that empanada vending machine! MaryC, you won yesterday's giveaway. Email your address to me at ingrid@ingridthoft.com, and I will have Nick put the book in the mail! I admit that I know practically nothing about cribbage. It's a card game? With little pegs? Ross taught be to play cribbage. It seems to be a big New England thing. Cads and little pegs in a long rectangular wooden piece, and VERY competitive for only having two players. Blogger has been very hinky in recent days, and I know people have "lost"comments. If your comment seems to disappear into thin air, try refreshing your browser before starting to retype it. I tried it this morning, and my original comment showed up. I really want to play HQ Trivia. Can anyone explain it? Or is it intuitive? Do I have to download an app? ANd over the holidays we played with the grandkids two great games I'd never heard of --Citizens of Kataan--which is all about economics, I know sounds crazy but it was great. And also Ticket To Ride, which is sort of Monopoly with railroads. But involve a lot of strategy, so newbies Jonathan and I were wiped out by the 8 and 14 year olds. Has anyone played Songbird? Or Celebrity? Those are my faves. Hank, if you have an iphone or an android you can just download the HQ Trivia app. It goes live every day at 3:00 p.m. and 9:00 p.m. EST. All you have to do is answer the questions. The host is incredibly annoying, and doesn't actually start asking the questions until about seven minutes in (to capture all those latecomers.) Beware, the first three questions will seem like a cakewalk, but then the difficulty really ramps up! I just put it on my phone, but it says the Android version is in beta testing, so we'll see if it works. That is a very cool gingerbread house. Our standby is Sorry! We can get very cutthroat with it, especially The Boy (who has taken to giving other people bad advice to benefit himself). I played a lot of Sorry with my sisters when we were young, Mary. That was always a crowdpleaser. Sorry is very big at my house. There's nothing like it for fueling the flames of sibling rivalries. Ingrid & Julia - The Girl played Sorry exactly once and won. She promptly retired. Said she didn't want to ruin her perfect record. Her brother thinks this is grossly unfair. We do gingerbread houses, too, but the dudes and their cousin tend to make meth houses or tributes to Russia (Hooligans!). Your niece's house is SPECTACULAR!!! As for games, Scattergories is a blood sport around here (someone please tell the Hub that squash is NOT something cold that starts with an "S", honestly! We're big chess players, too, with matches and rematches happening weekly. Amongst the older family, often played late at night, is Cards Against Humanity. It is not for the easily offended or weak at heart and is hideously inappropriate for anyone under the age of fifty - jk :) Side note: My Mom usually wins. I'm guessing that the Hub would agree that there is such a thing as an empanada vending machine? I grew up playing and loving a lot of games, both card games and board games. We had Clue and Monopoly, and I'm not sure what else back then. My mother was a cribbage fiend; I think I get my love for games from her, along with my aptitude for math and my love for mysteries (do any of you know her? Maureen Collins? Fan GoH at Malice 10?). In high school I had a friend who loved the Avalon-Hill advanced strategy games, like Stalingrad. Those really tried my patience. Then my junior year I learned to play bridge and nothing else could compare. I played a lot of hearts in college, when I couldn't find bridge players. Once the kids hit a certain age, we played Uno and Connect Four and others that I don't remember. We moved on to Boggle, at which older son is a real killer, and Scrabble, and sometimes Trivial Pursuit, altho like others, we found that we soon had learned all the answers. My wife isn't nearly the fan of games that I am, so these days we play only occasionally with friends. I've taken a break from playing ACBL bridge due to my orthopedic issues, but I'll probably start back up after we move. I'm eager to see what sorts of game players we have in our new community. And of course one of my favorites was the Jungle Reds game at Malice! Your mom sounds like someone I'd like to know, Jim! How cool that she was the fan GoH at Malice! I've never heard of Stalingrad, but I'm guessing it wouldn't pass my test of instructions, in that, the instructions need to be brief and easy to understand! It was my first year of Exploding Kittens, too. It's definitely one of my favorites along with Rat-A-Tat-Cat! I've also been trying to think of foods beginning with "e" that could go into a vending machine. It's a tough question! It's amusing to think of having some eggs, on the top row of course, and watching them splat when they're dispensed. Maybe a package of egg beaters? Some machines vend pastries, so they could have an English muffin, or an eclair, or I recall a largish item called an Elephant ear. Maybe a cold drink machine could have little boxes of egg nog? Obviously all of these are a bit of a stretch. Jim, my answer was egg salad sandwich since there are some machines that dispense sandwiches. There was a lot of push back, but I stand by my answer! Wow, that gingerbread house is amazing! I love board games and card games but the friends I played with moved to another state. Are there any other Michiganders here who like to play Euchre? Cathy, I learned to play Euchre when I lived in Columbus, but I don't remember it at all. Yet another game about which I know nothing! The card game Rook (which you can buy in the toy section of most stores) is very similar to Euchre. My family played a domino game called 42. Sort of like bridge but with dominoes. I was never very good at it, or at cards, partly because I have no memory for numbers. It's like I have a hole in my brain. I did play gin rummy with my dad and my grandmother growing up, but generally I find card games really boring. I LOVED Trivial Pursuit, but our edition is so old that everything will be out of date. Is there a newer one (post 80s, lol) that anyone recommends? Ingrid, your family games sound like so much fun!!! My daughter and I like board games, hub and son-in-law don't, so boo. Looking forward to when granddaughter gets old enough to play, although I have a feeling she's going to be very competitive! I like Risk and Scrabble and Apples to Apples and even Monopoly, so maybe we should pull some of those out. And I've had our old backgammon set out on the piano bench for about a year, thinking I'd look up a refresher on how to play, but I haven't done it. And, besides, then I'd have to find someone to play with me! Ingrid, your niece's gingerbread house is fabulous!!!! Maybe we'll start doing that, too, when Wren is a little older! It's lots of fun for everyone, Debs! We play Trivial Pursuit - still mix it up with 4 or so different versions of card boxes from the different versions (80s, silver screen, sports, genus II, etc) we probably have 10 or more different versions to choose from between my sister's game closet and mine. The younger set loves Munchkin, Battleship, Monoploy and all it's iterations, and the young adults love Settlers of Cataan and all it's versions, also Ticket to ride has several versions. Risk and Clue, Payday are always fun - also Taboo, Pictionary, and Mexican Train...we like games!!! Yes, we played Ticket To Ride the US version, but I sent them the Europe one for the holidays! So fun! You're a board game expert, Pauline! Oh, I love board games and card games. Growing up it was Clue and Monopoly, and then there was the Barbie board game at one point. Playing the Old Maids card game was always tricky in my family because my older sister was positively livid if she got the Old Maid. Hahaha! And, for most of my childhood my father didn't allow us to play board games with dice on Sunday. He mellowed later on, and it wasn't anything traumatic for me. I just thought he was a bit dotty. Other childhood games I enjoyed were Mousetrap (anyone remember that one) and Life. I loved Life. Oh, and I can't forget Chinese Checkers. My brother and I were just three years apart, and our sisters were older, so when my brother and I had to accompany our parents to visit our aunt and uncle (which seemed often), there was only one thing at her house for us to do, while the adults talked about who all was sick and dying (hahaha), and that was to play our aunt's Chinese Checker game. Of course, I should have included plain old checkers in my childhood games, too. Since I got married, 41 years ago, the family game has been Aggravation. My mother-in-law is the Aggravation Master, as she and my FIL (deceased) played it for years with another couple. It can get intense, and there was a period we all had to take a break from it. I'm not sure my sister-in-law's husband will ever play again. But, we do have great fun with it, and some years ago I bought my daughter and my son each an Aggravation set from the old days, just like my MIL's original set. I got them off of eBay when they were each around $20. Now, they are out of sight in their cost. My parents played Rook when they were a young couple, before I came along, but they didn't pass playing it down to my siblings and me. However, I do have a deck of old Rook cards of theirs. With our kids, it was Aggravation, Clue, Monopoly, Yatzee, Candyland and card games (Old Maid, Fish, Rummy, Crazy Eights, etc.). There were the ones that came out while they were growing up, too. Hungry Hungry Hippo, Pretty Pretty Princess (wonder why they had to repeat that adjective? ), Apples to Apples, and a Berenstein Bears game called something like Spooky Tree (I still have it). My son, when he was in his twenties introduced us to some of the more complicated games, like Small World. And, when the kids were in high school, they and their friends loved a game that I had bought that you played on the television. I can't remember the name, but something like Mystery Mansion. With the grandgirls, our latest card game we love is called Wig Out. So much fun. They are being raised on Aggravation, too. The eight-year-old has left me in the dust to play chess. She competes in it for her school. Apples to Apples is still popular though. Kathy, we had a big Mousetrap debate over the holidays: lovers and haters, but no one in the middle! Aggravation is a new one to me. I'm learning about so many new games today! Ingrid, I meant to comment on that amazing gingerbread house. Wow! That rocks! We really like playing card games like Uno, Rook and Phase 10. Also like playing Scrabble, Clue and Monopoly. Uno is another favorite in our house, too, Dianne. I love games, especially triva ones. I'll stay up all night for a rollicking game of Trivial Pursuit. Hubs is into board games, Monopoly (original version, please) Clue, scrabble. I loved Uno when I had kids in the house. 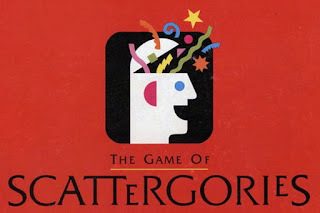 One of tonight's games was Scattegories. For author with an I, I used Isleib, Roberta. So fun seeing what games everyone plays! And that gingerbread house is amazing! Our family loves playing games and the ones that we played over and over again this past holiday were Lords of Waterdeep, Pandemic, Code Names and the oldie-but-goody Game of Life. Lords of Waterdeep requires a bit of strategy - never thought I would enjoy playing it but it's addicting! Pandemic is interesting because it's a cooperative game. Code Names is perfect for anyone who loves word association games. This seems to be very fun to play. I like poker and I see there is game of poker so I am willing to try it out. Thanks for sharing this with us.